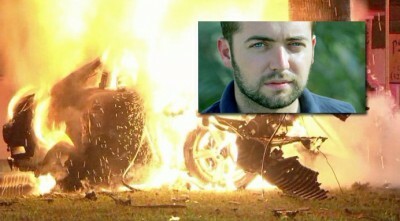 Mercedes Benz debunks the theory that the car of Wikileaking journalist Michael Hastings “just blew up” upon impact. Journalists have consulted leading University Physics professors in the Los Angeles area, who all agreed that the placement of the engine defied expectations of a normal crash scenario. Subject: FBI Investigation, re: NSA Hey (redacted names) — the Feds are interviewing my “close friends and associates.” Perhaps if the authorities arrive “BuzzFeed GQ,” er HQ, may be wise to immediately request legal counsel before any conversations or interviews about our news-gathering practices or related journalism issues. The most traditional explanation is that the breaks were cut, but the “remote control” hacking of the vehicle has proven exceedingly easy in recent years. More disturbing still, perhaps is that a gag order has also been placed on cops and firefighters who both responded to and investigated the crash, which occurred in the early hours of June 18 in the Hancock Park neighborhood of Los Angeles.